eDreams reviews and questions on PissedConsumer review a number of issues about the company. The most common eDreams complaints are in regards to poor customer service, eDreams refund policy, eDreams cancellation policy, and eDreams flight bookings among others. How do I contact eDreams customer service? Can I get a refund from eDreams.com? What payment methods does the company accept? What is my baggage allowance when booking a flight through www.edreams.com? We then went ahead to seek answers to the top eDreams FAQs in the company’s website. 1. How do I contact eDreams customer service? PissedConsumer, on the eDreams contact page, provides contact information that you can use to reach the eDreams customer service. The contact information includes eDreams toll-free number for customers in the United States, and different customer support and sales eDreams phone numbers for customers in different parts of the world. 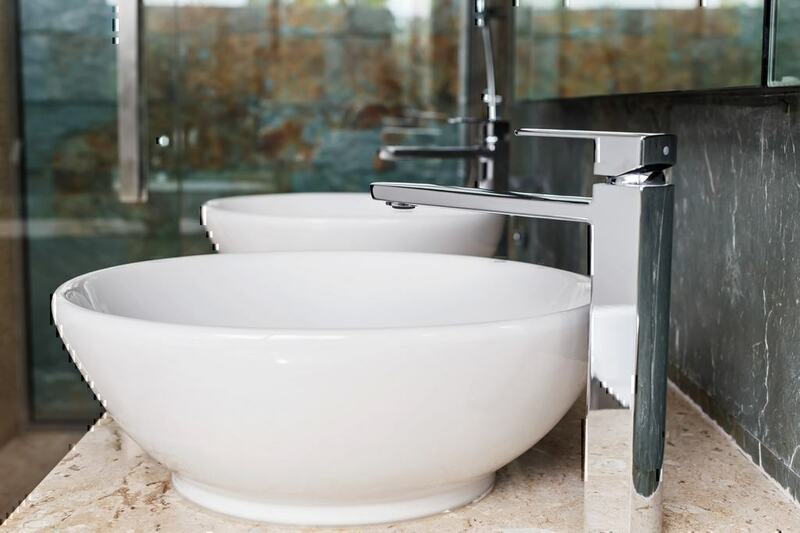 PissedConsumer also provides an eDreams Chat link, eDreams email address, links to eDreams social media networks, and eDreams headquarters address. Here are the links to the various eDreams social networks: Facebook, Pinterest, Google+, Instagram, Twitter, YouTube and LinkedIn. According to the eDreams About Us Page, the company positions itself as one of the world’s leading online travel agencies. 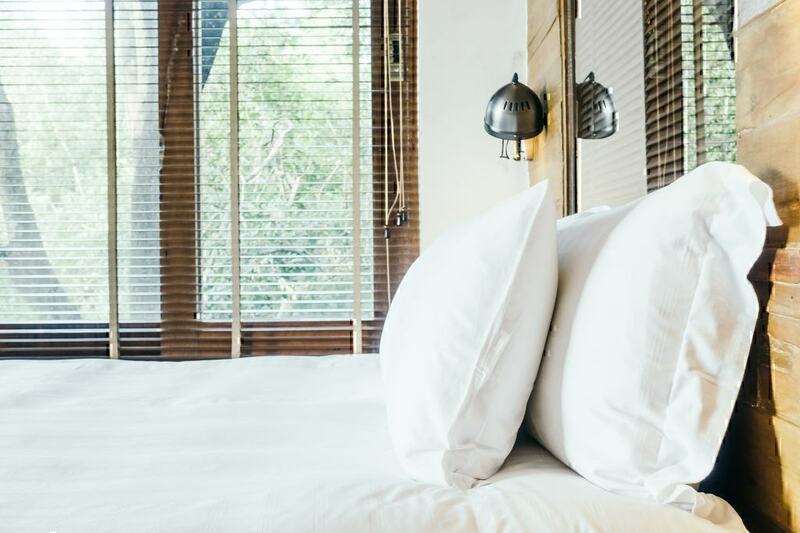 It has the presence in over 33 countries and offers the widest mix of services in the market including flight bookings, hotel, and car booking as well as tailored holiday packages. eDreams.net prides itself in providing its customers with over 155,000 flight routes, from over 610 airlines and accessibility to over 1,700,000 hotels in 40,000 destinations. With that said, eDreams has an average star rating of 2.1 on PissedConsumer as of the date of writing this article. eDreams customer reviews on PissedConsumer indicate that many customers are dissatisfied with different aspects of the company. Complaints against eDreams include issues such as poor customer service, wrongful billing, and wrong booking information among others. 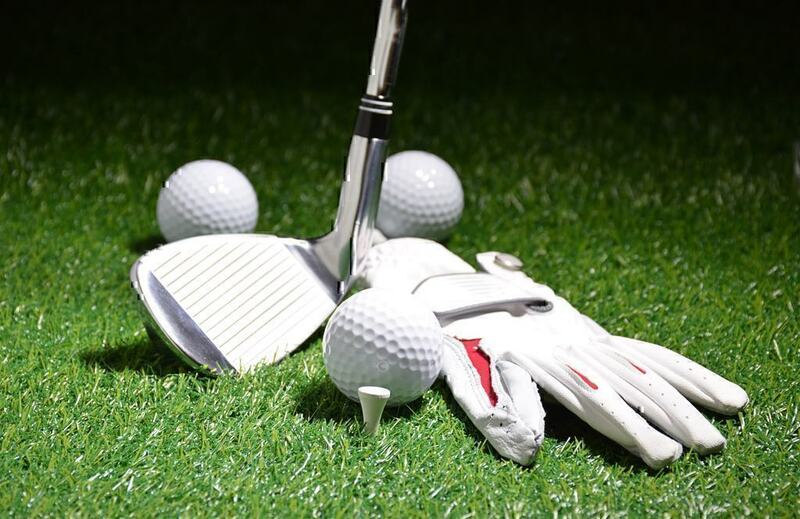 “…I booked return flights and had to come home after a week, I had two weeks to cancel me return flights however, eDreams would not reply to any emails and when I finally got through on the phone I was told to call back because the information was not available on their screen. Its disgusting that you pay in good faith and when there is a problem you find that the complaints department at eDreams is non existent. eDreams customer service representatives have come forward on PissedConsumer to apologize, respond and clarify some of the issues that come up in the eDreams reviews. For instance, in the review above, eDreams verified representative thanks the reviewer for their comment and notes that the person should request cancellation by getting in touch with eDreams customer assistance via the phone as noted on the terms and conditions of the company’s website. 3. How can I change my flight on eDreams.com? According to the flights modifications page, it may be possible to change your flight. However, it will depend on your fight fare, availability of other flights, and stipulations of the airline. 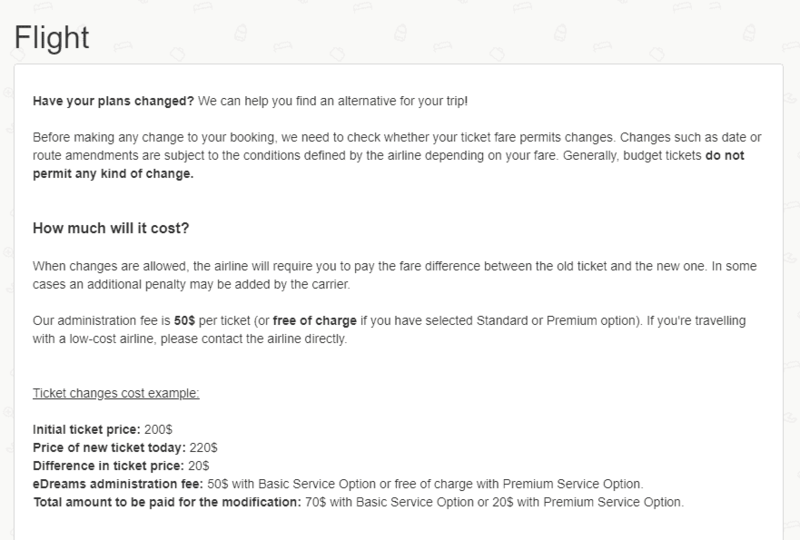 Changing your flight is likely to come with additional charges such as price increase of the new ticket, eDreams administration fees of $50 except for standard and premium bookings, and some airlines may apply a penalty charge. Usually, budget tickets do not allow for flight changes. 4. How do I cancel a flight on eDreams? 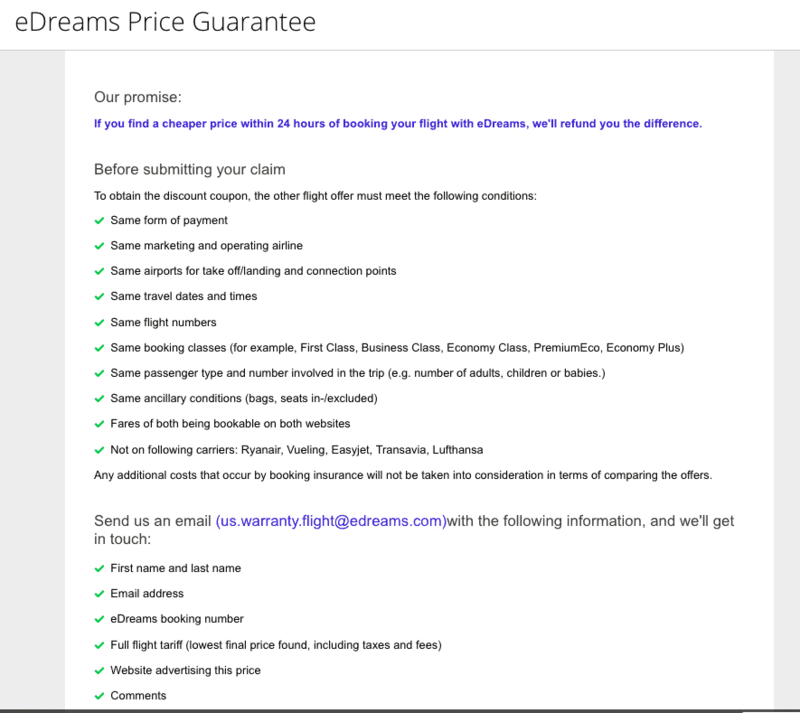 According to the eDreams cancellation policy page, eDreams offers different cancellation terms. 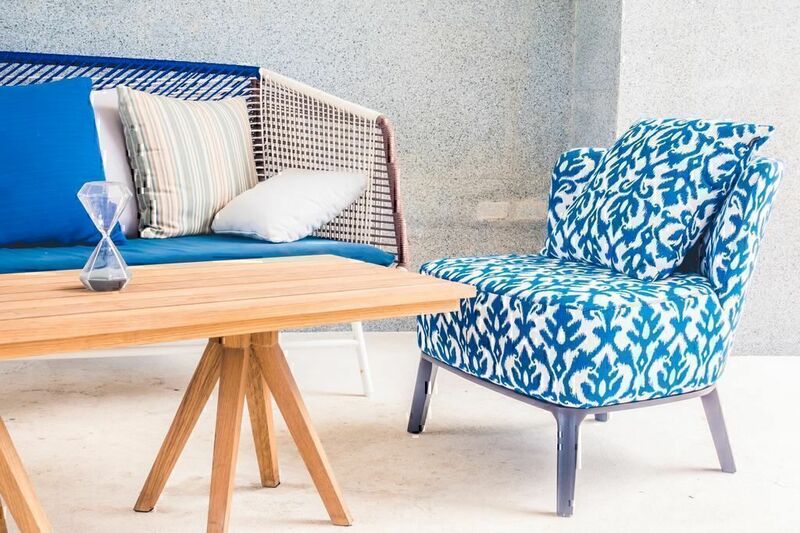 They offer free cancellation for flights marked as “Free Cancellation” if you make it on the same day of booking. Otherwise, cancellation charges will apply. The standard eDreams cancellation policy is that depending on the specific flight booked, you may either be entitled to a full, partial or no refund. 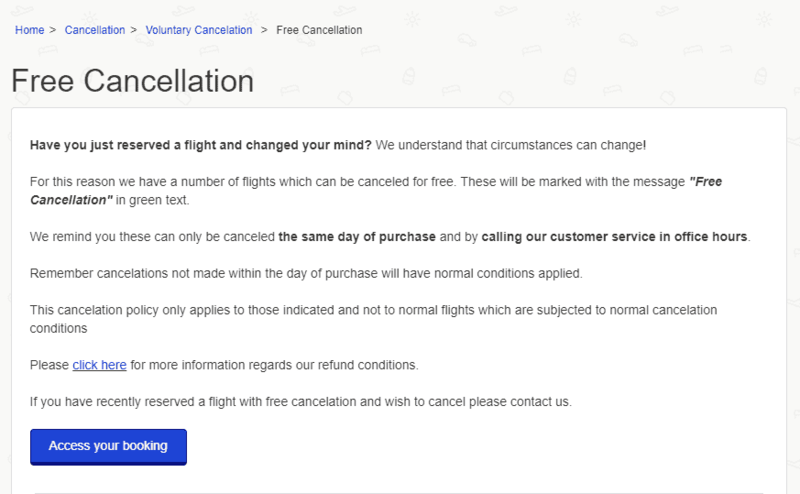 If your flight booking is refundable, or if your booking is either standard or premium, it will be canceled free of charge. Otherwise, eDreams will charge you a $50 administration fee per ticket. Some airlines also charge a cancellation fee. eDreams can make the cancellation request on your behalf with specific airlines such as American Airlines, Air France, and British France. To cancel your flight, get in touch with eDreams customer care via phone. On the other hand, for low-cost carriers, you will have to get in touch with the airline to request for cancellation. 5. Can I get a refund from eDreams.com? According to eDreams refund policy page, you may get a refund on both voluntary and involuntary cancellations. The eDreams refunds policy indicates that you may receive a partial, full or no refund depending on the specific scenario. 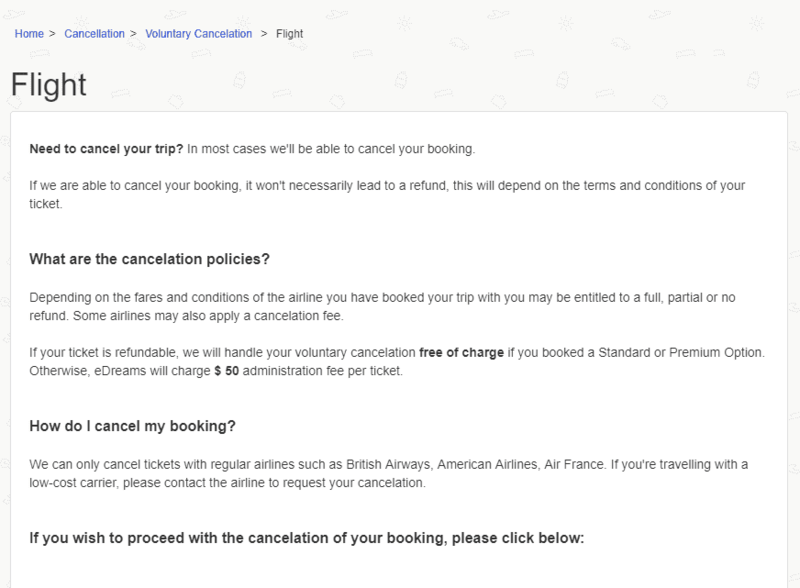 To process a refund, you will be required to cancel your booking first. For the major airlines, contact eDreams to request a refund. 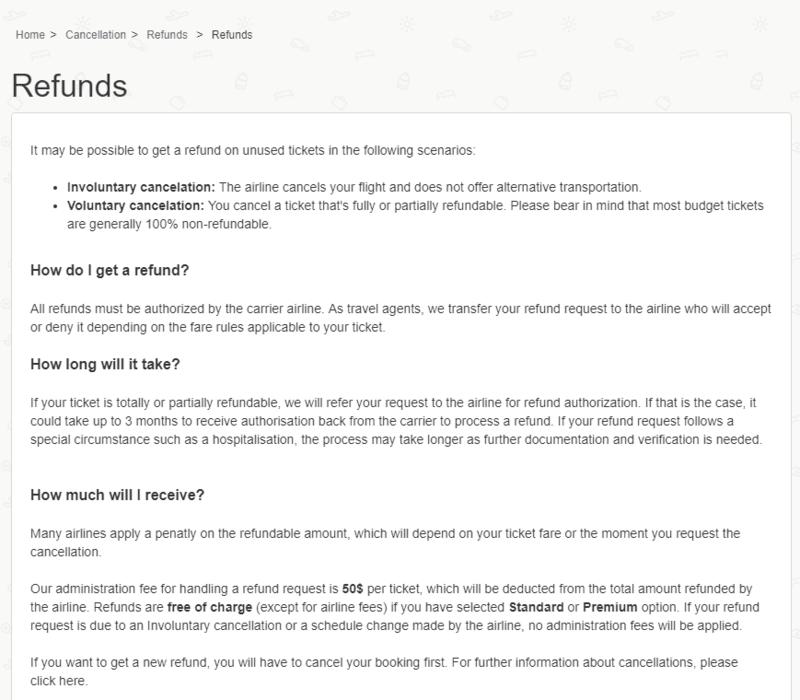 The company will transfer your request to the airline, who at their discretion and according to their refund policies will either accept or deny the eDreams refund request. Refund authorization by the airline may take up to 3 months or longer to process. Some airlines may apply a fee on the refundable amount. eDreams charges a $50 per ticket administration fee to process a refund request. The administration fee is deducted from the amount refunded by the airline. However, if the refund is on a standard or premium booking, or as a result of an involuntary cancellation, no administration fee will be applied. 6. What payment methods does www.edreams.com accept? 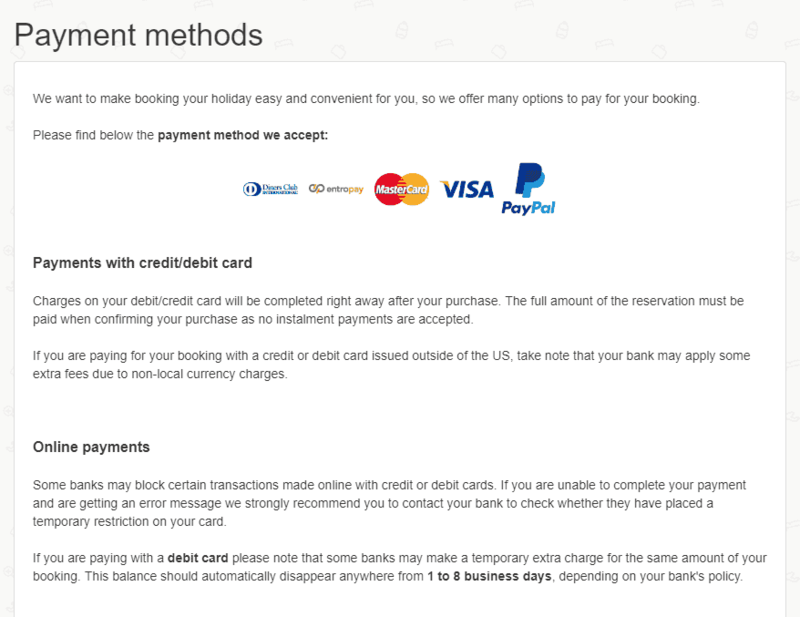 According to the Payment methods page, eDreams accepts payments both by debit/credit cards such as Diners Club International, MasterCard, Visa as well as through online payment methods such as PayPal and Entropay. Payments made through Debit or Credit cards are accepted immediately. Some Debit cards and Credit cards issued outside of the US may be charged additional fees to cater for the currency exchange. When paying with a Debit card or Credit card ensure to pay the entire amount as this means of payments does not support instalment payments. Some banks may not support use of their issued debit or credit cards to make online payments. If you experience a payment error get in touch with your bank. Online payments take between 1-8 days to process. 7. How long does eDreams processing take? 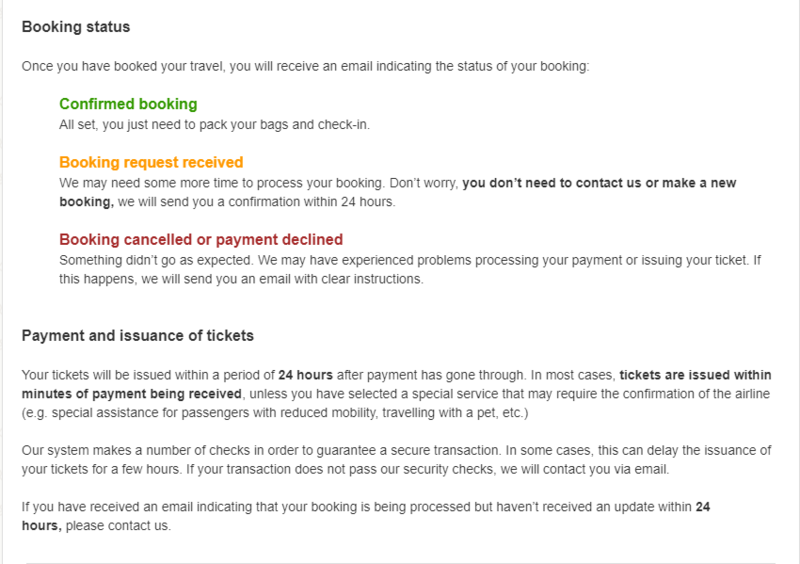 According to the “What is the status of my booking” page, eDreams issues tickets within a period of 24 hours after you have made your payment. Usually, tickets are issued immediately after your payment has been received unless the service you are booking requires confirmation with the airline on issues such as reduced mobility or bringing a pet along. In case a transaction does not go through, eDreams will contact you via email to let you know of the failed transaction. eDreams recommends that if your booking is being processed but you haven’t received an update within 24 hours you should get in touch with eDreams customer care. You can check the status of your booking either on the eDreams iPhone or Android app or through their website under “My Trips”. The status of your booking will either read: “Confirmed Booking”, “Booking request received”, or “Booing cancelled or payment declined”. 8. What is my baggage allowance when booking a flight through eDreams.com? According to Baggage allowance page, the allowable number of baggage and weight differs from one airline to another. It also depends on the fare you have booked. Usually, most restricted fares do not have any free baggage allowance. When booking your flight ticket on eDreams, you are able to check baggage allowance for the specific ticket. The company also offers a drop-down menu on the baggage allowance page where you select a specific airline and you can check their baggage limit. For more assistance with baggage allowance, get in touch with eDreams customer help. Do you have an eDreams complaint or question that is not addressed above? Leave a review on the eDreams reviews page on PissedConsumer. Post a question on eDreams Q&A page on PissedConsumer. Get in touch with eDreams customer help.